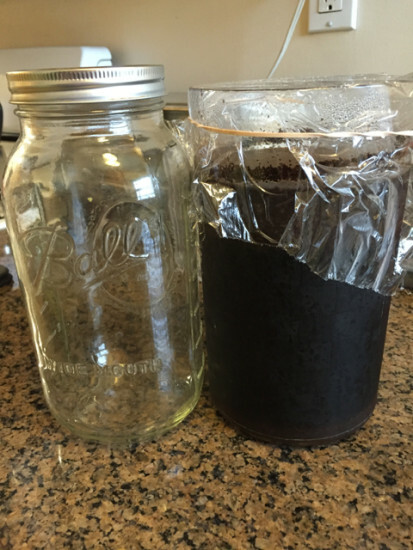 A couple years ago, I stopped regularly drinking hot coffee and started making liquid crack cold brew coffee instead. It’s lower in acidity, which I believe has helped alleviate some of my GERD symptoms. 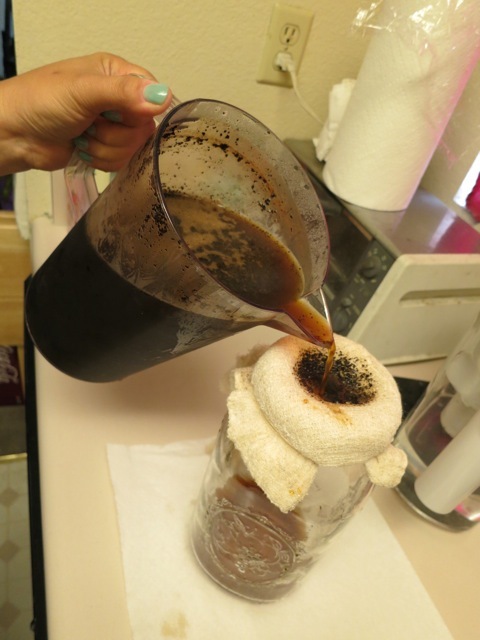 It’s also easy to make and I don’t need to bring out my myriad of coffee-making apparatuses – coffee maker, french press, Bialetti, etc. 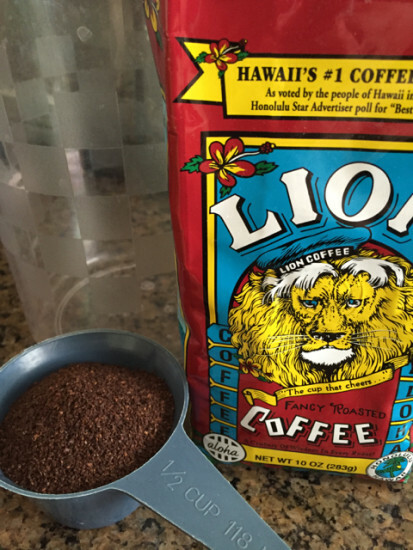 Measure out 1/2 cups of coarsely ground coffee. 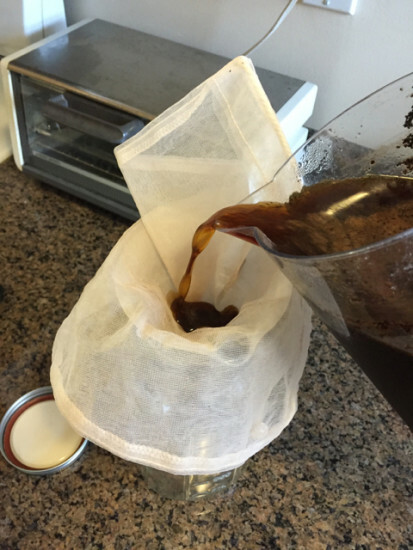 Cover the carafe with some plastic wrap and rubberband it. Refrigerate overnight at least 10-12 hours. Normally, I would use whole beans and grind them myself. But these were the only beans I had on-hand. Put sieve over the pitcher, or use funnel to steady. 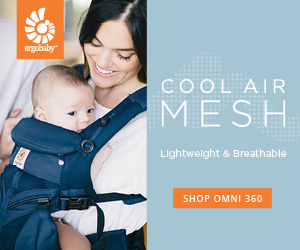 OR use a nut milk bag and double up the mesh. Put that in the funnel and pour. Like any good Asian kid, I add condensed milk to my coffee and iced coffee. 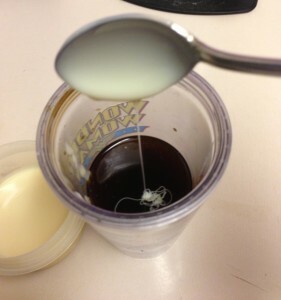 (Why make simple syrup when condensed milk is awesome?) 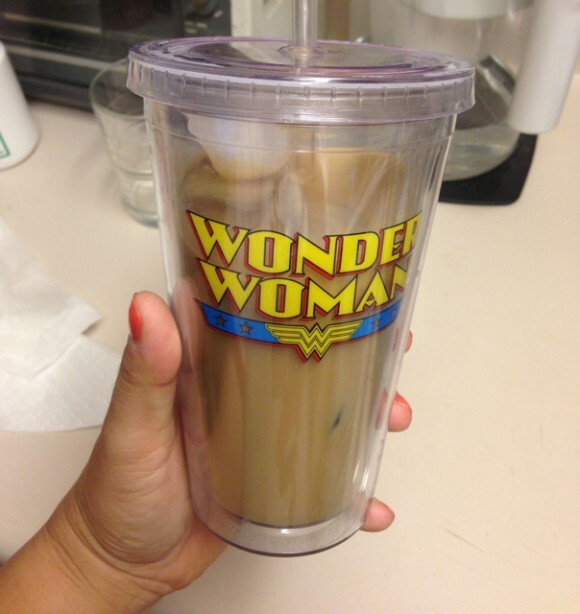 I also add about an ounce of half & half and a ton of ice into my new double-walled Wonder Woman tumbler. 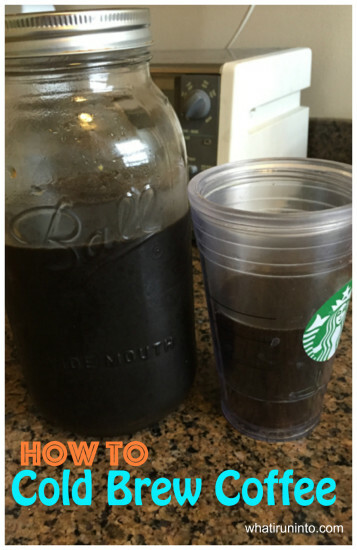 Â This recipe gets me about 6-7 cups of cold brew iced coffee. 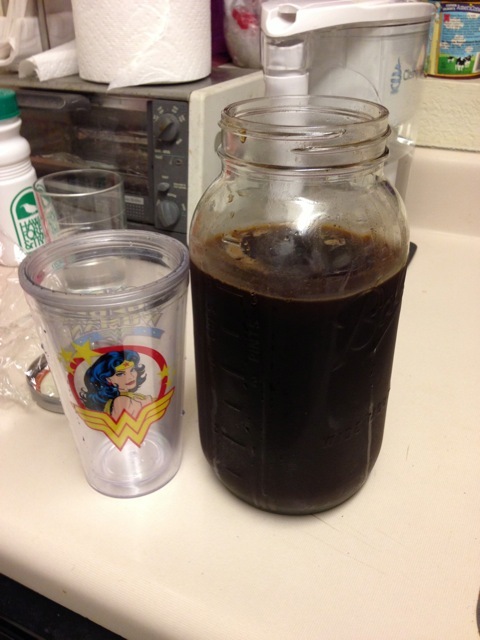 I pour out one cup per serving so I get 6-7 mornings of cold brew coffee. Dump a spoonful of condensed milk, to taste.